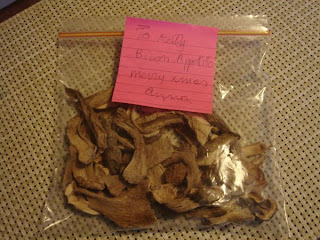 I was lucky enough to be able to 'trade' some dried porcini's for a bag of risoni, with an Italian lady from where I work. I ended up with 20g which roughly equates to about $4 worth, so I have been using them sparingly and with great love and care. The flavour from these mushrooms is just incredible. They have given new life to a once bland mushroom risotto, my veal ragu is alive with flavour and my bolognese sauce now has a little extra 'sumpin' sumpin''. I am going to be so sad when I run out. I need to find out Anna's source... I need more of the 'good stuff'! By the way, if anyone has some black or white truffle that they wish to trade for fresh pasta let me know. I am dying to believe the hype. In the meantime, I urge you to go and try some of the many different varieties of mushrooms available. You will discover new flavours and textures and I guarantee you will find it really hard to go back to just buying button mushrooms again. Clean any residual dirt off the mushroom caps by brushing them lightly. Do not wash! 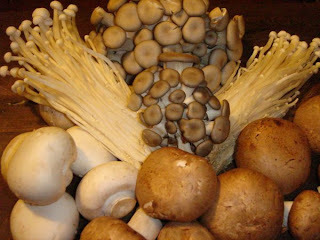 Cut larger mushrooms into smaller chunks or slice. Quarter button mushrooms and cut the ends off the stems of the enoki. Heat butter in a frypan and add thyme and garlic. 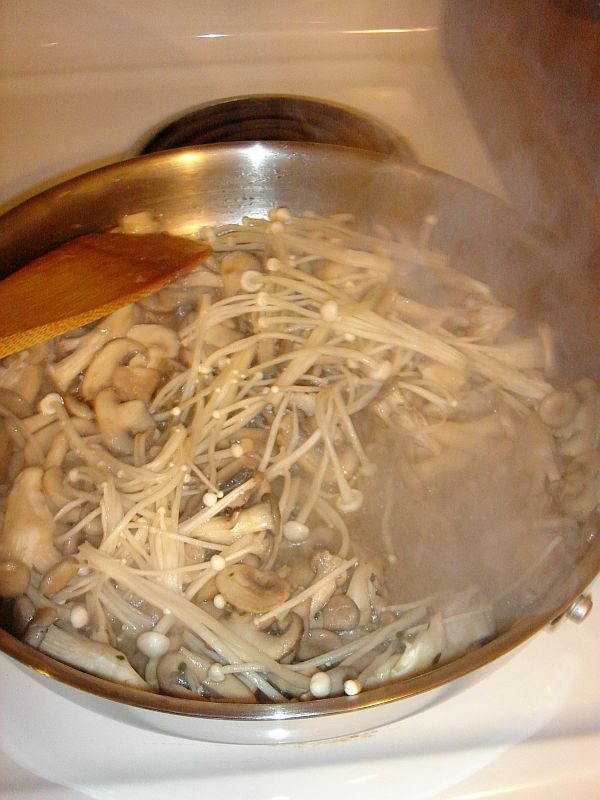 Add your mushrooms (hold back the more delicate oyster and enoki as they cook very quickly) and be sure they get a good coating of butter. They will collapse very quickly. Turn down the heat and add the oyster and enoki mushrooms. Season to taste with salt and pepper. Serve on toasted cibatta or with pasta with a good drizzle of olive oil and grated parmesan.